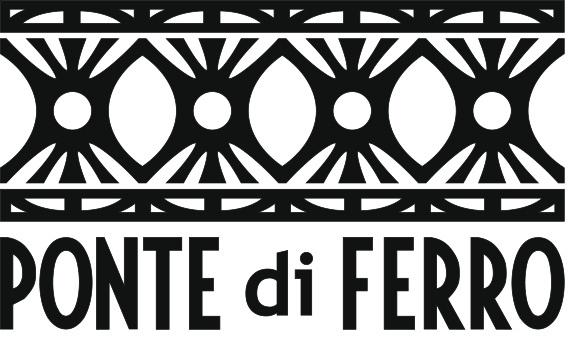 Anyone who wants to become a member of the cultural association ARCI Ponte di Ferro declares to have read the following terms and be aware that failure to comply with these rules may result in expulsion from the association by decision of the Steering Committee. In case of heavy rain and / or weather alerts everyone should promptly leave the association headquarters (as indicated by ASL 12/2012). It is mandatory to use the safety equipment required by law for the type of work in place. In particular the use of safety shoes, safety glasses, hearing protection and gloves. It is prohibition for members to use dangerous machinery if there is no experience and skills needed for conducting safe operations. It is the responsibility of the Steering Committee and its members to assess the feasibility of certain operations by individual members. The use of the crane is restricted to members who have had consent in place of assembly. It is forbidden to use angle grinders and hand drills on marble and materials that generate dust inside the building of the laboratory. It is forbidden the use of materials that contain a larger amount of ‘1% silica or other toxic materials in accordance with the law. Each member is entitled to a full shelf for storage of equipment and materials. Each member is entitled to stow inside the building and outside of his shelf a maximum of three sculptures. It’s possible to locate up to a maximum of 7 in the courtyard outside taking care not to occupy space Useful for working and maneuvering. Each member is entitled to 3 square meters to store materials. These will also be exploitable vertically in the area (to be granted in place of assembly). Each member is required to have their own equipment for work, including reducer industrial socket, extension cord and air hose. Whether there is any need to use the property of the equipment, these may be used on payment of a deposit which will be made at the time of the equipment has been returned. As for the association tools available for free for members, it is essential that everything be promptly and carefully put back in place after use. It is the responsibility of each shareholder to collect and dispose of their debris and scraps. It is mandatory for all shareholders participate in seasonal cleaning of the space opened by the Steering Committee. On any particular day it will still be prohibited from engaging in other activities within the association spaces. Every member who leaves for shorter or longer periods the laboratory maintaining sculptures and / or equipment and / or materials within it is required to pay a portion of monthly balance to be determined. If there are objects in storage without information about it, these may be used or disposed of at the discretion of the Executive Committee at the end of the third month after the departure of a partner. Outside the hours of silence defined below, where you can not use machines and equipment that produce a sound audible from the neighborhood (hammers, angle grinders, hand drills etc …) the laboratory is considered to be open and usable 24 of 24.
hours of silence: Monday to Friday- 20:00 P.M. to 7:00 A.M.
inside exists a democracy manifested in the shareholders’ meetings. It will not be tolerated divulgation out of criticism that has not already been made and recorded in writing at the time of assembly.